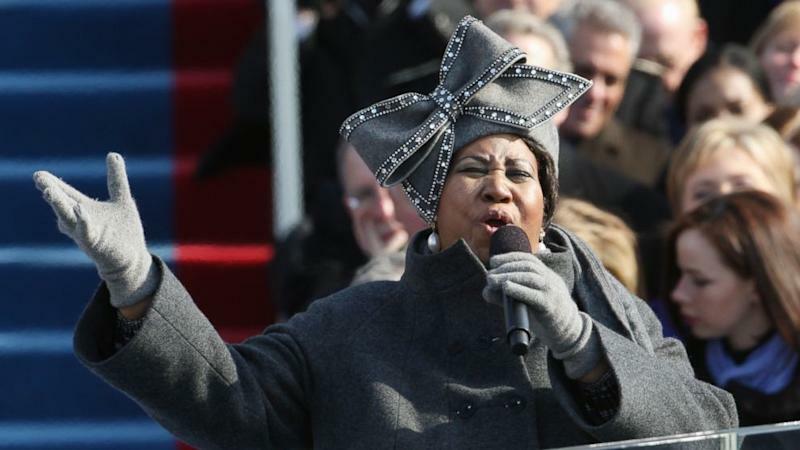 Barack Obama's 2009 Presidential Inauguration was a generation-defining moment and no one was more suited to bring it home than the "Queen of Soul" herself, Aretha Franklin. Through six decades of legendary music, Franklin inspired time and again, even earning the Presidential Medal of Freedom in 2005 "for helping to shape our Nation's artistic and cultural heritage." But it was on that day almost a decade ago, where she brought the house down one more time, signing "My Country 'Tis of Thee," while the United States' first black President watched in awe, along with millions of other Americans. It was a fitting moment, as well, as Franklin worked tirelessly over the years, fighting for civil rights, her cover of the hit “Respect" becoming an anthem for the movement in the 1960's and for women's rights. The world lost Franklin Thursday at the age of 76 following a battle with pancreatic cancer. "America has no royalty," former president and first lady Barack and Michelle Obama said in a statement shortly after the sad news broke. "But we do have a chance to earn something more enduring." "Born in Memphis and raised in Detroit, Aretha Franklin grew up performing gospel songs in her father’s congregation," the former first couple said in the joint statement. "For more than six decades since, every time she sang, we were all graced with a glimpse of the divine. Through her compositions and unmatched musicianship, Aretha helped define the American experience." "In her voice, we could feel our history, all of it and in every shade—our power and our pain, our darkness and our light, our quest for redemption and our hard-won respect. She helped us feel more connected to each other, more hopeful, more human. And sometimes she helped us just forget about everything else and dance." "Aretha may have passed on to a better place, but the gift of her music remains to inspire us all," the couple wrote. "May the Queen of Soul rest in eternal peace. Michelle and I send our prayers and warmest sympathies to her family and all those moved by her song." Watch her iconic performance above.